The human body is gifted with many useful hormones that perform their respective functions. The kidneys are one of the organs that perform its function of removing the toxic wastes from the body through urine. The toxic substances enter the body by means of the food and liquids that the people eat and drink. Besides removing them, the kidneys also release three important hormones to regulate the body. They are renin, calcitriol and erythropoietin. These hormones help in the maintenance of the body functions. The kidneys are also one of the organs that work all round the clock without a single rest. The kidneys are also capable of cleansing themselves of the toxic substances. Besides regulating the body and removing the wastes, they also help in the regulation of the blood pressure and in enhancing the performances of the urinary tract and bladder. Often people will feel discomfort and pain in the kidneys due to eczema, bloats, infections, kidney stones, overeating, acne, rashes and sudden weight gain. These people will normally look to the clinics to be treated by the doctors but they will be administered with chemical medicines that sometimes cause other major problems. So the herbs must be used to safely heal the people of the affliction and bestow the people with other benefits. This herb can be used as a potent and is a natural diuretic herb. It helps in the increase of the volume of the output of the urine to remove the toxins and the germs from the body. The compounds Apiol and Myristicin are sole responsible for the diuretic nature of the parsley herb. In an experiment conducted with animals, it was found that the rats that drank the extracts of the parsley urinated more frequently than those that drank only water. The parsley herb can be drunk as tea. The leaves can be simmered in a cup of hot water and then steeped and cooled for about five minutes. After that they can be strained and then drunk. The parsley extracts can be mixed in water, lemon juice and honey and can be drunk as a whole. The parsley seeds and leaves can be added to the normal routine diet. The pregnant ladies must refrain from them. This herb too is rich in diuretic properties and can maximize the output of urine. This also helps in the build-up of the plaques in the kidneys and cleanses them. The infections in the urinary tract, bladder and kidneys can be eliminated. It can be drunk in the form of tea. The roots of the marshmallow can be minted and added to the cup of boiling of hot water. They can be then steeped for about five minutes. Drinking this cup of tea for about thrice a day can help reach the desired effects. The diabetic patients, pregnant ladies and breastfeeding mothers should refrain from this tea. The roots of dandelion herbs are rich in diuretic properties and it helps to promote both the kidneys and liver. Like the other herbs it also helps to increase the urine output. The water retention is avoided and that helps in the eradication of the discomfort caused in the urinary tract and bladder. The dandelion roots can be drunk in the form of a tea thrice a day. The roots of the dandelion can be minted and can be boiled in hot water. The cup must be allowed to cool. The liquid must be strained and then drunk with a few drops of tea. The person wishing to drink this tea must seek the advice of a doctor as it will react with the other medications that are present in the body. This herb acts as the best cleansing herb for the kidneys. 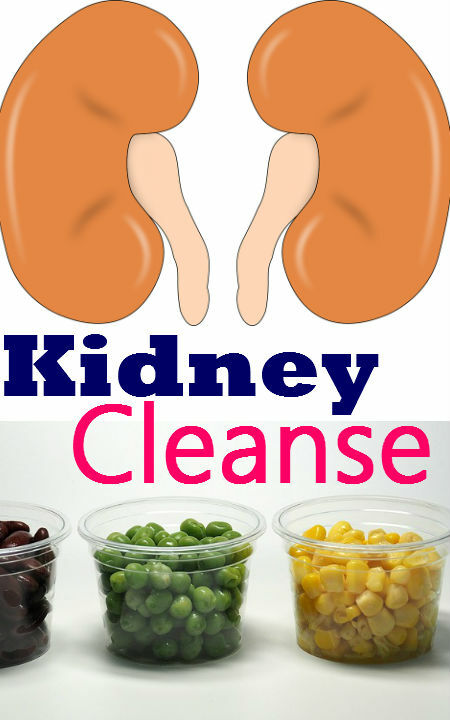 They cleanse the kidneys as well as the liver. Apart from removing the toxins from the body, these also help to enhance the process of digestion. The correct way to reap the benefits of the ginger is grating the ginger and adding them in the cup of boiling hot water. Lemon juice and honey can be added to taste. They can be drunk for about two or three times a day. Raw ginger can be used in all the recipes that a person cooks for the attainment of the benefits. The turmeric is another herb that helps in the detoxification of the liver and the kidneys. It is diuretic in nature. The blood becomes purified by turmeric. The infections are the swellings in the kidneys, urinary tract and bladder. The turmeric powder, ginger powder and cayenne powder can be simmered and drunk from a cup as a tea. The juice of lemon and honey can be added to the cup in order to make it drinkable. The turmeric can be added to foods regularly. This herb supports the functions of the kidneys. They increase the output of normal urination and lower the risks caused by the poisonous substances from the body in the urine. The urine output gets increased. The kidney stones and the infections can be eliminated by the use of this herb. The celery juice can be drunk in the form of juice. In the form of tea it can be drunk by boiling celery leaves, ginger paste and cardamom. Few drops of honey can be added. This herb helps to cleanse the kidneys. The urine volume increases due to the diuretic property of the herb. The liver and the kidneys get cleansed. The metabolic waste is discharged in the form of renal excretion. The formation of stones in the kidneys is prevented by drinking this drink thrice a day. The leaves of the nettle must be steeped in the cup of hot water and boiled. Filter them and add a few drops of honey. This herb interferes with the thinning of the blood and the increase of the blood pressure and so it is recommended to consult a doctor before starting it. The horsetails are rich in oxidative properties and they cleanse the kidneys from the toxic substances. The horsetails must be drunk regularly to cleanse the metabolism and remove the toxins from the body. The leaves of the horsetail must be steeped in the cup of boiling water for about five minutes. Few drops of honey and other extracts can be added to the liquid in the cup before drinking them. It is a better idea to seek the assistance of a doctor before starting to drink them. This herb abounds in the diuretic properties. It helps to clean the liver and the kidneys. The diuretic nature of the herb is due to the presence of the arbutin in them. The pH range of the urine and the body is maintained. The harmful substances and bacteria are removed from the body. This herb can be drunk as a tea and the advice of the doctor is essential for the drinking of the tea. The corn is diuretic in nature. The kidneys are stimulated and the wastes are removed from the body. The overall health of the excretory system is maintained. As the corn can react with some medications, they must be drunk only after doctor’s advice. There are various other herbs that also help to combat the infections of the kidneys.